Bonnie Wailee Kwong has received two Pushcart Prize nominations for her writing this year: "A Portrait of Winds (Excerpts)", California Quarterly, Poetry (http://www.californiastatepoetrysociety.org/homepage/pc-nominees) and "The Moon from the Corner of Her Eye (Excerpt)", Quiet Lightning, Fiction (http://quietlightning.org/pushcart-nominations/). Julia Brothers is covering for Marlo Thomas in Clever Little Lies Off Broadway and is happy but missing the Bay area something fierce. Ho Ho Ho to everyone! Ken Sonkin is directing a USF student project of Welcome Home, Jenny Sutter and teaching stage combat at Sonoma State and fight direction for a spring production of Hamlet. Malachy Walsh’s short film Iowa, based on the 2001 Best of PlayGround short play, showed at the Chicago International Reel Shorts Festival in November. Douglas Giorgis has been staying busy by working on several new play readings. Lee Sankowich is directing Robin Bradford’s LOW HANGING FRUIT for 3Girls Theatre this July in San Francisco. He’s also further developing FOR HONOR, his play about the Warsaw Ghetto Resistance and Uprising. Michael J. Asberry goes into rehearsals for DRIVING MISS DAISY with the Sacramento Theater Company. The show opens on January 9, 2016 and runs through February 14, 2016. Previews begin on January 6, 2016. George Maguire is currently in Los Angeles filming a remake of NOSFERATU. “What is drama but life with the dull bits cut out.” – Alfred Hitchcock. PlayGround continues its twenty-second season and celebrated monthly staged reading series, Monday Night PlayGround, on December 21 at Berkeley Rep’s Roda Theatre with six original short plays inspired by this month’s topic… A VERY MERRY HITCHCOCK CHRISTMAS. Bay Area-based playwrights in the PlayGround Writers Pool have four-and-a-half days to write and submit scripts inspired by the topic. The six finalists will be presented as script-in-hand staged readings at 8pm on December 21. Six plays by Los Angeles playwrights based on the same topic will be performed at West Hollywood’s Zephyr Theatre on December 14. Advance tickets are $15-$20 and $20 at the door, subject to availability. For tickets and more information, visit http://playground-sf.org/monday. WHAT: Occurring monthly, September-March, the popular Monday Night PlayGround series presents staged readings of thematically-connected short works by the Bay Area’s best new playwrights each month at Berkeley Repertory Theatre, staged by leading local professional actors and directors. 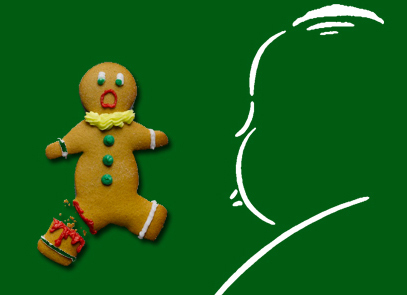 For the December 21 “Holiday Extravaganza”, PlayGround will present six original short plays inspired by the topic: A VERY MERRY HITCHCOCK CHRISTMAS! As we mark #GivingTuesday today and the official beginning of the year-end giving season, we’re pleased to share some very big PlayGround news! PlayGround has now taken on the master lease for Thick House!!! 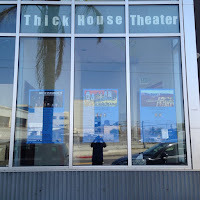 Our plan is to improve the facilities, expand our programming, and ensure the continuation of Thick House as a resource for the greater Bay Area theatre community! This new lease also comes just in time for our twentieth annual PlayGround Festival of New Works, the Bay Area’s largest showcase of new plays and new writers with more than 44 performances and staged readings over 6 weeks in June-July at Thick House, home to our San Francisco programs since 2008! With the acquisition of the master lease at Thick House, we will be able to continue our popular Monday Night series at the incomparable Berkeley Rep and have secure, long-term theatre SPACE for our festivals and new play productions! With Thick House, we can also expand our role as a hub by facilitating and curating an affordable, renovated venue for dozens of other new play producers and hundreds of local artists. This year, when you support any of the exciting programs happening as a result of our new master lease, your gift can make a deep and lasting impact… and possibly score you a chair! For all donors of $2,000 or more, we’ll proudly recognize your support benefitting the entire Bay Area theatre community with a brass nameplate on one of the 80 new theatre seats we’re installing at Thick House next year!! Please read on to learn about three exciting ways that you can help the entire Bay Area new plays community! I. The 20th Annual PlayGround Festival: Two decades!! Thank you! It is a testament to your support that the PlayGround Festival of New Works (which includes our iconic Best of PlayGround series) has flourished through the economic rollercoaster of the past two decades. It is also a sign of how much this program is needed. We are one of the very few organizations that comprehensively invests in first-time and early-career local playwrights, and the Festival is often the first chance for these new writers to receive a full production of their work. We maximize that learning process by partnering playwrights with expert professional directors, actors, designers, stage managers, and technicians. As such, the Festival is a crucial step in the development of new voices for the theatre. The PlayGround Festival provides the training and experience new writers need in order to join the cadre of award-winning, nationally-produced alumni we’ve helped to foster so far. In the past, we have often been unsure when/where we would be able to produce the Festival. Our access to theatre space was out of our hands. Many of our colleagues and partners have faced the same uncertainty. Now PlayGround can ensure our Festival and give that same long-term stability to other producers and independent artists! PlayGround is a hub and Thick House is the next frontier in our efforts to strengthen the fabric of our entire theatre community. Can you help us raise the $25,000 needed to produce the 20th Annual PlayGround Festival with a gift of $20? $200? $2,000? II. Renovations and Renaming of Thick House: Do you love the productions and readings you see at Thick House, but you’re not a fan of the heat or folding chairs? You’re not alone! PlayGround will be renovating Thick House at the end of 2016 with new air conditioning, seats, lights, signage… and a new name! The renovated and renamed theatre will re-open mid-January 2017 and you are definitely on the list for our giant re-launch celebration! If you or someone you know might be interested in sponsoring the re-naming of the space, please call me at (415) 992-6677. Thick House renovations will provide a more comfortable, better equipped space that will benefit nearly a dozen small theatre companies, hundreds of independent artists, and thousands of theatre-goers each year. In partnership with local companies such as Crowded Fire, Golden Thread, 3Girls, foolsFURY and Playwrights Foundation, we will build on the venue’s reputation as a center for bold new works by diverse and often underrepresented artists, presented for the fullest spectrum of audiences, drawn from throughout the Bay Area and beyond. To fully renovate the space, we need to raise at least $200,000. We have started this process with requests to several foundations and a 100% commitment from the PlayGround Board of Directors but we will need your help as well. When you play a role in our renovation efforts, you will benefit PlayGround, all of the artists and companies who call Thick House home - and yourself! Air conditioning and comfortable chairs…sounds pretty great, right? Any gift will help and be greatly appreciated! And from now through July 31, 2016, donors to PlayGround of $2,000 or more (for any program, including our Gala) will have the option to name a seat at Thick House (donors of $5,000 or more can name one of the limited number of premium seats)! But hurry – there are only 80 seats available! So make your gift or pledge today! III. The Artist Access Fund: Theatre artists need affordable space in which to develop and produce their work and this has become increasingly challenging during the most recent real estate boom in the Bay Area. Costs have skyrocketed and a large number of performance venues have been lost, converted to commercial use, or taken over by a single producing company. In this environment, Thick House has stood out as a beacon, offering affordable space for hundreds of independent artists and numerous small companies over the past seventeen years. PlayGround is deeply committed to ensuring Thick House will remain accessible and affordable for Bay Area artists and companies for years to come. That is why PlayGround is creating the Artist Access Fund, to provide subsidized rent at Thick House for small companies and independent artists who otherwise couldn’t afford to see their works produced. We seek to raise $25,000 to launch this program and provide up to twenty weeks per year of rent-free or below market rent. Please help us provide 20 weeks of free or low-cost theatre space for hundreds of local artists with a gift toward the Artist Access Fund. Can you help with $50? $500? $5,000? So there you have it: our 20th festival, a renovated and renamed theater, and a fund to help small companies and independent artists. All in all, not too bad for a year’s work! But we truly could not have come so far without you. Thank you! Please join us again by giving generously to one or all of these efforts. P.S. Please join us on this global day of giving, #GivingTuesday, by giving to the greatest extent of your capacity. And if you’re able to give a gift of $2,000 or more, we would love to memorialize your gift with a plaque on one of the 80 new theatre seats at Thick House! P.P.S. 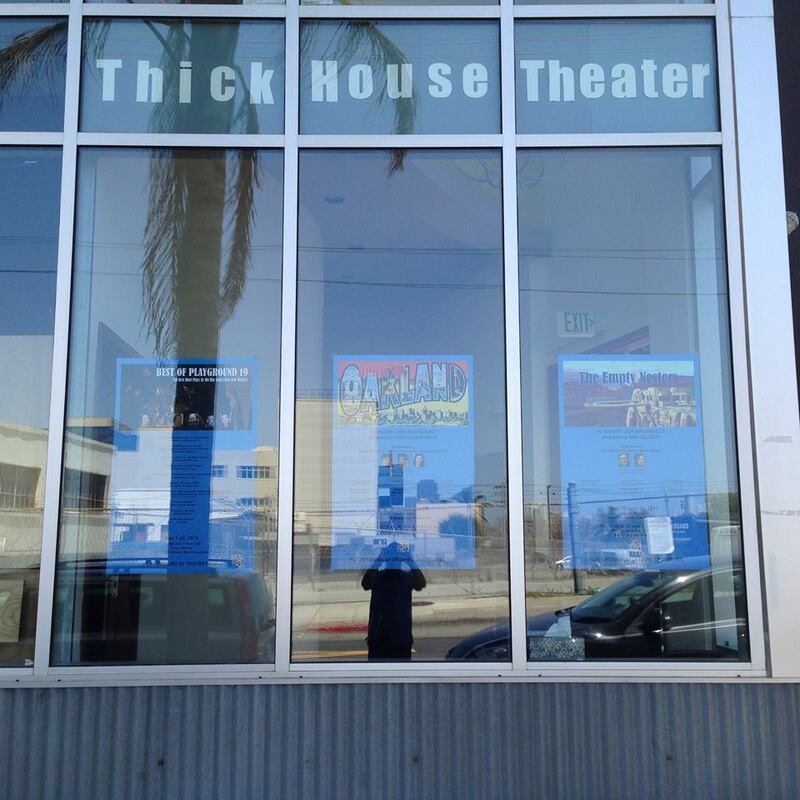 If you or someone you know is interested in sponsoring the re-naming of Thick House, please contact jim@playground-sf.org or call (415) 992-6677. P.P.P.S. Make your gift by December 31 and receive your invitation to the Year-End Donors Reception taking place at Berkeley Rep on Monday, January 18, prior to the Monday Night PlayGround performance. PlayGround on the Move... into Thick House! PlayGround, the Bay Area’s leading playwright incubator, and Art Space Development Corporation (ArtsDeco), owner of Thick House, announced today that PlayGround has signed a six-year master lease for the 78-seat black box theatre in San Francisco’s Potrero Hill neighborhood, with a five-year extension option through 2026. Under PlayGround’s leadership, the Thick House venue will expand its role as a hub for diverse small theatre companies and independent artists and a platform for the development and production of great new works. To that end, PlayGround has launched a $260,000 capital campaign to support significant capital improvements and continued artist accessibility/affordability and plans to temporarily close the venue for 6-8 weeks in late 2016/early 2017 to complete the renovations, including new HVAC, seating, lighting and signage. The renovated and renamed theatre (new name to be determined) will reopen mid-January 2017 with a community-wide celebration, showcasing the many artists and small theatre companies that call Thick House home and in recognition of the theatre’s new role as a center for new plays. With the acquisition of the master lease, PlayGround will now have a stable home for its Best of PlayGround new play festival and full-length co-productions, as well as the ability to facilitate and curate an affordable, renovated venue for dozens of other new play producers and hundreds of independent artists. PlayGround will continue to produce its popular Monday Night PlayGround series at Berkeley Repertory Theatre and to provide its full suite of playwriting classes at its Berkeley PlaySpace. PlayGround began producing its annual Best of PlayGround festival at Thick House in 2008 and added co-productions of new full-length plays in 2014, including Diane Sampson’s Sleeping Cutie, Robin Lynn Rodriguez’s Hella Love Oakland, and Garret Jon Groenveld’s The Empty Nesters. To learn more about PlayGround's programs, the move to Thick House and the ways you can support these efforts, click here. Part of the live-work building, Goodman 2, on 18th Street between Carolina and Arkansas Streets, Thick House was built in 1996 by ArtsDeco and Holliday Development and was initially operated by Thick Description. Over the years, the venue has attracted some of the Bay Area’s leading new play developers and producers, including Playwrights Foundation, Crowded Fire Theatre Company, Golden Thread Productions, foolsFURY, and 3Girls Theatre, among others. Theatre artists need affordable space in which to develop and produce their work and this has become increasingly challenging during the most recent real estate boom in the Bay Area. Costs have skyrocketed and a large number of performance venues have been lost, converted to commercial use, or taken over by a single producing company. In this environment, Thick House has stood out as a beacon, offering affordable space for hundreds of independent artists and numerous small companies over the past seventeen years. Unfortunately, while Thick House has remained affordable, it has been unable to meet its full potential as a community resource due to poor ventilation, no air-conditioning, limited and aging equipment, and no ongoing facility management. PlayGround is the longest-standing renter of Thick House, with a mission-driven purpose to serve the Bay Area’s leading independent artists and new voices for the stage. As such, PlayGround has taken on the master tenant lease for Thick House and is committed to renovating and improving the venue while ensuring it will remain accessible and affordable for Bay Area independent artists and small companies for years to come. PlayGround will utilize the Bay Area Performing Arts Spaces online database to provide a more transparent and streamlined system for artists and companies to learn about rental rates and availability, and will increase co-marketing of events taking place at the venue. In addition to the hundreds of artists and dozen companies who use Thick House, other primary beneficiaries of these efforts will be the audiences who attend performances at Thick House and the local businesses these audiences and artists patronize when in the neighborhood. The capital campaign and renovations are being overseen by PlayGround co-founder and Artistic Director Jim Kleinmann, working closely with the PlayGround Board, staff, artists and a number of leading theatre consultants based in the Bay Area, including lighting designer York Kennedy, Charles Salter Associates acoustical engineers, and The Shalleck Collaborative theatre planners. While serving as Managing Director at A Traveling Jewish Theatre (1992-99), Jim oversaw the $875,000 construction and renovation of the theatre that is now Z-Below. It was during this time that Jim first worked with Charles Salter Associates on the installation of the high-efficiency, ultra-quiet HVAC system that currently cools that space. Subsequently, as Managing Director of Marin Theatre Company, Jim worked on the renovation of their second space, which was upgraded with refurbished seats, lighting, and risers to create a new black box theatre for the development/production of new works. Art Space Development Corporation (ArtsDeco) is a California nonprofit corporation, founded to respond to the acute need of Bay Area artists for affordable space in which to live and work. Among its current real estate holdings, ArtsDeco owns and operates Thick House, located in San Francisco’s Goodman 2 live-work building. PlayGround, the Bay Area’s leading playwright incubator, provides unique development opportunities for the Bay Area’s best new playwrights, including the monthly Monday Night PlayGround staged reading series, annual Best of PlayGround Festival, full-length play commissions and support for the production of new plays by local playwrights through the New Play Production Fund and, PlayGround’s newest initiative, the PlayGround Film Festival. To date, PlayGround has supported 200 local playwrights in the development and staging of more than 750 original short plays and 60 new full-length plays, including 18 that have since premiered in the Bay Area, New York and around the country. PlayGround alumni represent the who’s who of the Bay Area’s best new playwrights, including Peter Sinn Nachtrieb, Aaron Loeb, Erin Bregman, Garret Jon Groenveld, Geetha Reddy, and Lauren Yee, among others. For more information, visit http://playground-sf.org.